REFER YOUR FRIENDS & FAMILY TO MAYFIELD TOYOTA IN EDMONTON! WHEN YOU REFER A FRIEND AND THEY PURCHASE A CAR, WE’LL PUT $100 IN YOUR POCKET! 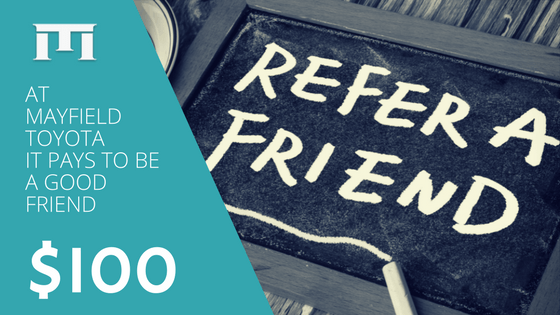 If you had a great experience with us at Mayfield Toyota and you’d like to refer your friends or family, you can be a part of our Referral Team! There’s no limit to how many referrals you can send us. 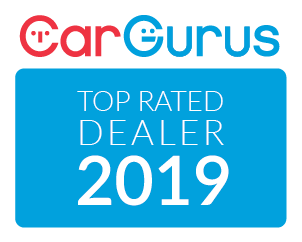 Just fill out the form with your contact information and the information of the person you’re referring to us and we’ll get in touch with them to help them get their next new or used vehicle!